I recall International Association of Religion Journalists (IARJ) Executive Director Endy Bayuni, who by the way couldn’t make it to Accra, Ghana, asking just before the concluded sixth IARJ conference…Just how big is Africa? So we were all greeted to the lovely Ghanaian hospitality of ‘Akwaaba’ meaning ‘Welcome’ in Twi, one of the local languages in Ghana. The Conference “Reporting on Religion and Spirituality in Africa” brought together a strong camaraderie, there for all to see, as we discussed, debated, learned and shared. As we navigated the murky waters of a problematic and yet, a continent with great potential, we asked if many religions equal many problems? We had a rewarding debate on state and religion, whether it was the Ghanaian, Ethiopian experience or what was applicable in Nigeria, South Africa and Algeria, there were nuggets of not only old age wisdom but also differences in sameness of experience. Apart from a yeoman’s effort at distinguishing Religion Reporting and Reporting Religion, we looked beyond the two big religions represented in the continent, but looked at indigenous faiths existing alongside the major religions, like in Togo. It was exciting, exhilarating with distinguished regional and global colleagues who were joined by scholars to discuss and identify key stories on religion that need to be told and share resources from their own nations and experiences. The Conference could not shy away from the role of religion on terror, violent extremism, dangerous and hate speech. 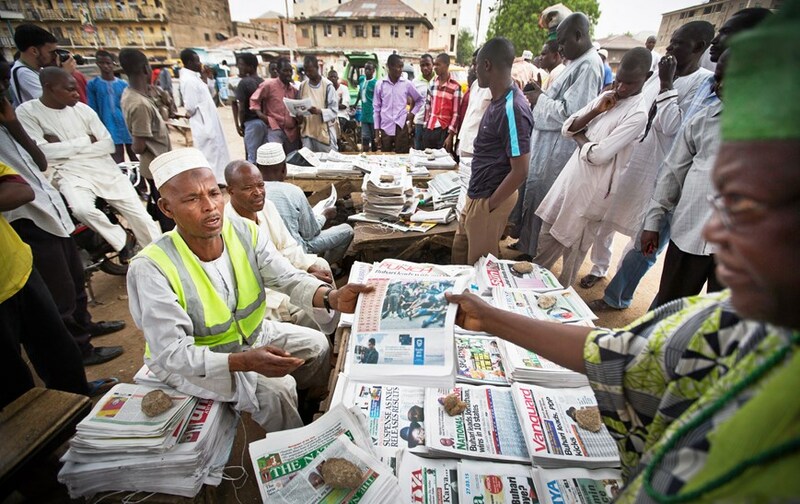 The need for Journalists to be pro-active in their coverage and reportage. So, what were some of the take home, out of a couple of pieces of new learning, Yazeed Kamaladien founding member of the IARJ noted that South Africans may be religious but it was divorced from political life. The question remained how newsworthy was religion for South Africans. In Sudan, the terrain was different, the government was religious and there was no distinction between state and religion. You write at your own peril, censorship was with the big stick and no carrots, as Nasir Mohammed explained to participants. Cameroonian Ben Modika was emphatic in explaining that they battled religious dogma, terror, and insecurity and introduced to discuss a little on what he termed commercial religion and how it affected editorialization. From Liberia with love was the case, as Abraham Wheon explained that for a nation that has know a civil war, echoes of understanding faith was heard loud and clear. Today’s Writer/Journalist must make a conscious effort in understanding the faith he writes about. Religion is a sensitive topic; it is not one to treat with a toddler’s footwear. And did you know that Priests were paid by the government in Algeria, a nation that had a majority Muslim population, this and many more are the plenty reasons for the need of more and more knowledge about the ever growing field of Religion reporting and writing. Our hosts both from the Institute of African Studies and Journalists gave us narratives on how the nation of the Black stars have managed to keep state and religion apart. It was encouraging to see the State owned Broadcast house maintaining a full religious department. Nigerian duo of Blessing Tunoh and Odinga Adiwu brought to the fore an enriching discussion on the Boko Haram episode with shades of experiences from Cameroon. They also explained how thin lines affected the Nigerian narrative and the difficulties and successes in the narrative, in addition to shared efforts of Interfaith dialogue. 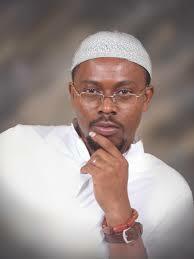 Particular attention was paid to growing Islamophobia, a topic that Larbi Megari did well to share thoughts on. And we looked at the appropriation of the new media and it’s effect on Pentecostalism, as well as examining secularism within certain national ideologies. At the end we looked at recommendations, while it was also worth noting that we muted the idea of a Charter on Reporting Religion in Africa, the Accra Charter we called it, coming from our Ethiopian friend and brother Mussie Hailu. And the sixth IARJ conference came to an end, we were meeting in Africa for the first time, with conferences having been held in Bellagio (Italy), Belo Horizonte (Brazil), London, Boston (Massachusetts), Brisbane (Australia), and Buenos Aires (Argentina). At the end, the answer to Endy’s question was Africa is big enough with it’s own big religious diversities. And this would not be the last time we meet in Africa. And one last word…in Ghana they say me daa si (meaning thank you), so a big thank you to the entire IARJ team, Elisa di Benedetto, and Martin Davis, also plenty thanks to the Companhia Brasileira de Metalurgia e Mineração (CBMM), and also the beautiful people of IAS of the University of Accra for hosting us. It was worth it, and like it is said in Twi, Mefi Ghana, yebeehyia bio, meaning I miss Ghana and we will meet again.